Change in the structure and size of crops as though crops of some other planet. Crop produced doubled and in some cases multiplied four times. The sprouting of crops recorded 9 inch compared to the normal sprouting of 3 inch. Bottle Gourd (Ghiya/lauki) were recorded of 3 feet which normally is seen with the injection of corticosteroids. Researchers notice even genetically tampered seeds coming back to the normal seed structure at molecular levels. Impressed with the massive work many agricultural universities began inviting Avdhoot Shivanand ji. 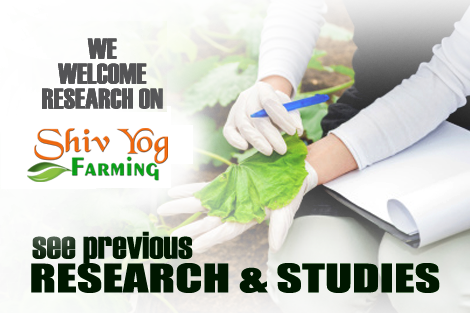 Teams even undertook to do research on ShivYog Cosmic farming and the experts and agricultural scientists were baffled with the results they saw. 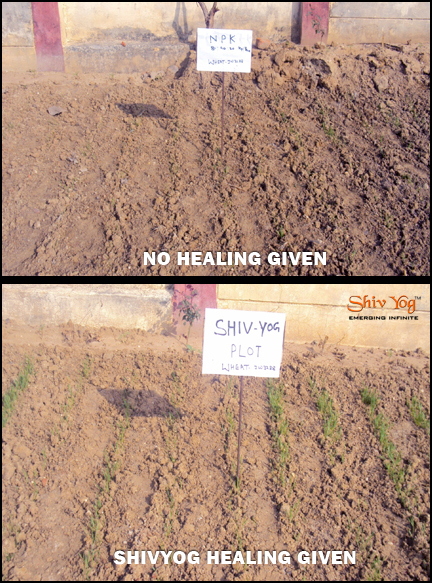 The ShivYog Farming work was also acknowledged by Ayush, Madhya Pradesh. 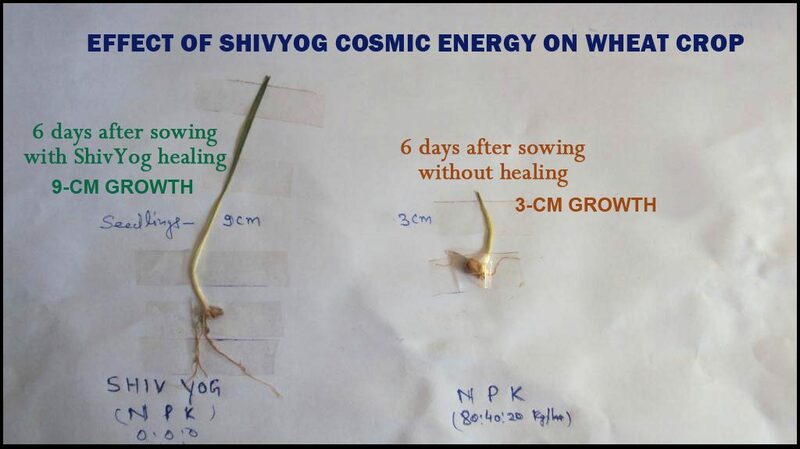 Based on these studies and effects, the ripple reached Austria, where the ShivYog volunteers very openly embraced the effects of ShivYog Cosmic farming by introducing it to the farmers of Austria. Along with it, many studies were conducted which showed phenomenal results.